This is the swiss army knife of any tension in the back of the leg, from the achilles to calves to hamstrings. If you struggle with the downward dog, forward fold, back rounding in the deadlift, or any position that involves bending at the hips, this is going to be absolute    for you. Place your foot on a block or stack of books. These are my favorite yoga blocks, for the record. The ball of the foot behind the big toe and the ball behind the pinky toe should be in full contact. 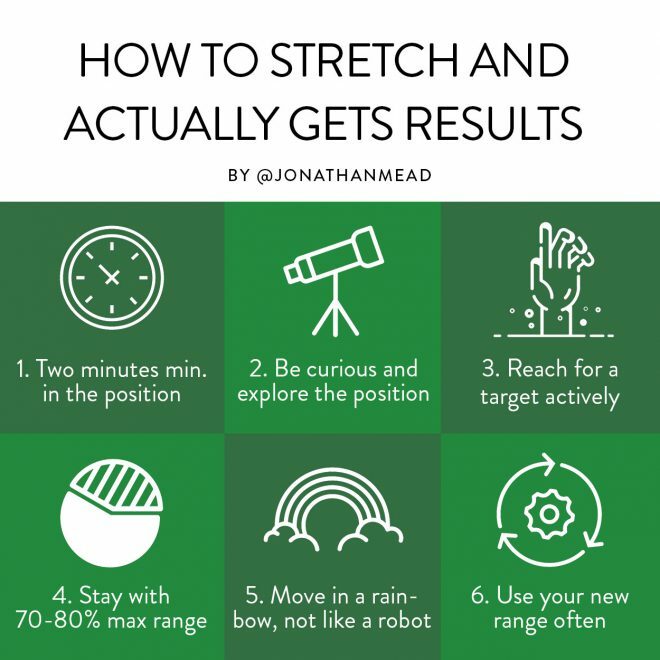 Spend at least two minutes in the stretch. Your body needs time to adapt to the new position, and research shows two minutes to be right around the sweet spot. Go within 70-80% of your range. If you can’t hold the stretch for two minutes, you’re probably going too hard. Be active in the stretch with isometrics, ramp up slowly pressing your foot into the block to about 50% of your max effort. Hold for 3-5 breaths. Then try to lift your foot off while reaching your belly button forward. If you feel good, repeat for 2-4 sets. If you got some value out of this I would absolutely love to hear your thoughts, and most importantly to see you USE this, so I can give you a shoutout and brag about your results. Let me know in the comments on the video if you got any “ahas” from this one.